So.. WV has a 18yo legislator. Wadda ya think? Ms. Blair campaigned on a pledge to work to reduce certain taxes on businesses, and she also holds antiabortion and pro-gun positions. She defeated Democrat Layne Diehl, a 44-year-old Martinsburg attorney, whose top priorities included improving secondary education and solving the state’s drug epidemic. I think it's long past time for us to give anyone ,other than elite millionaires ,a shot at government appointments. ALL government appointments. I'd say she's far more likely to actually do something to enrich those that voted for her than just enriching herself . Sounds like some of the young folks actually voted! She is too young and naive to know how government really works. I would say this is a huge benefit. This established crap has to go. Our government is the best in the world, we just happen to have a bunch of snakes running it right now. If she is old enough to kill people (if needed) for the military, she is old enough to hopefully change some lives, make a difference and be a crusader... Hell ya!!! Isn't it the CONSTITUTION, that she'll swear to uphold, that says she has to be 30 years old to get the job? Article 1, section 3, clause 3, to be exact. So no, I don't support it. It's kinda hard for me to believe she will defend and uphold something she is already willingly violating. I think it is great, I know quite a few 18 year olds and many of them have their head screwed on better than the fat, lazy, mostly white , old guys who have been running things for the longest time. I say this as a 50 ish sometimes lazy, could lose a few pounds white guy. I will take it any-day. She's a state rep - state government... not Federal. "young librards get what they want"
"just what obama wants, dumb youth"
I like it and good for her. I have a buddy that just got elected as the youngest Sheriff in the country at 27. He is as squared away and has a real feel for the beat of that county. West Virginia has a constitution that says 30 years old is the minimum age? Looks like their constitution only addresses the age for governor, senators, and judges. No mention of representatives except they have to be a registered voter which I would assume would be 18. 4-4. Persons entitled to hold office -- Age requirements. 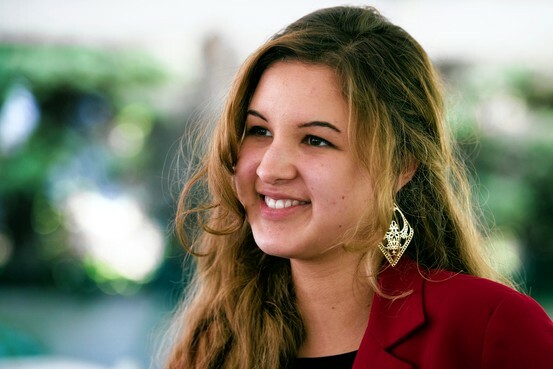 Eighteen-year-old Saira Blair will become the youngest state lawmaker in West Virginia history. The Republican defeated Democrat Layne Diehl on Tuesday to win a seat in the state House of Delegates. Blair's birthday was in July, so she barely met the 18-year-old minimum age for West Virginia House delegates. Blair says pro-life, pro-gun rights and pro-business. Her father, Craig Blair, is a sitting Republican state senator from the Eastern Panhandle. Her father, Craig Blair, is a sitting Republican state senator from the Eastern Panhandle. I don't give a crap if she's a lib, her father is a pol, or she has four eyes. She's getting involved - and from a generation that mostly isn't.